James is an experienced competition and regulatory lawyer with a wide-ranging commercial litigation practice. James is regularly recommended in guides such as Chambers and The Legal 500 (“brilliant lawyer”). James has appeared in the High Court, Court of Appeal and Supreme Court in a wide range of cases. He has also acted as an arbitrator. In addition to his litigation practice, James has been engaged in a number of law reform, public policy and market design projects in the electricity, banking, dairy and telecommunications sectors. Before joining the independent bar in 2013, James was a partner at Russell McVeagh (2001-2013) in the corporate and litigation groups, and was chair of the national litigation team. He has significant experience in the dairy, transport, energy, financial services, telecommunications and information technology sectors. James has a doctorate in Artificial Intelligence and Legal Reasoning from the University of Oxford. Before joining Russell McVeagh, James was an intern in the legal division of the IMF (Washington DC, 1995) and a consultant on legal regulation of the internet at the OECD in Paris 1998. James has taught the Law and Economics course at Victoria University and a course in Markets and Regulation as part of the University of Auckland LLM programme. James was recently awarded research grants by the New Zealand Law Foundation in relation to "Smart contracts and the digitalisation of the law" and "Regulation of new technologies: Institutions and processes" to be conducted during 2018/19. Trustee of the New Zealand Film Festival Trust, 2016-. Trustee of LawSpot (online pro bono legal advice service), 2013-2017. Member of the Council of the University of Otago, 2004-2012. Adjunct lecturer, Markets and Regulation, University of Auckland (2014). Adjunct lecturer, Law and Economics, Victoria University (2000, 2011–2014). Adjunct lecturer, Cyberspace Law, Victoria University (1999). Acting for the Minister of Commerce in judicial review proceedings arising from an investigation into the subsidisation of galvanised steel coil produced in China (New Zealand Steel Ltd v Minister of Commerce and Consumer Affairs  NZHC 2454, ongoing). Acting for the Commerce Commission in proceedings against Wilson Parking in relation to a car park acquisition (High Court, ongoing). Acting for IAG in relation to a claim against EQC arising from the sequencing of land and building repairs following the Canterbury earthquakes (High Court, ongoing). Acting for the Commerce Commission in proceedings against Vector Limited in relation to a breach of quality standards (High Court, ongoing). Acting for the Commerce Commission in relation to its decision not to approve the proposed merger between Stuff and NZME (NZME Ltd v Commerce Commission  NZHC 3206; NZME Ltd v Commerce Commission  NZCA 389). Acting for Mobil Oil New Zealand in a claim arising from the administration of Solid Energy (Gibson v Mobil Oil New Zealand Ltd  NZHC 41). Acting for a NZ transport company in a high value contract pricing arbitration (concluded 2017). Acting for the Commerce Commission in proceedings against a peer-to-peer lender under the Credit Contracts and Consumer Finance Act 2003 (Commerce Commission v Harmoney Ltd  NZHC 2421, ongoing). Acting for Westpac in relation to a complaint over the release of account information to the Police in the absence of a production order, currently before the Human Rights Review Tribunal (Hager v Westpac New Zealand HRRT 010/17, ongoing). Acting for Meridian in judicial review proceedings brought by Trustpower against the Electricity Authority (Trustpower Ltd v Electricity Authority and Meridian Energy Ltd  NZHC 2914,  2 NZLR 253). Acting for Auckland Airport on its merits review appeal on the input methodologies determined by the Commerce Commission under Part 4 of the Commerce Act (Wellington International Airport Ltd v Commerce Commission  NZHC 3289). Acting for Te Rūnanga-ā-iwi-o-Ngāpuhi in relation to the withdrawal of Ngāti Hine under the Maori Fisheries Act 2004 (Maori Land Court and Maori Appellate Court,Te Runanga O Ngati Hine v Te Runanga A Iwi O Ngapuhi (2013) Maori Appellate MB 89 (2013 APPEAL 89)). Acting for a landowner in a dispute over frontager rights with the Wellington City Council (Murray v Wellington City Council  NZCA 533,  NZAR 123). Acting for Fonterra in relation to an appeal from the decision of the Commerce Commission over the meaning of an “independent processor” under the Raw Milk Regulations (High Court, Court of Appeal and Supreme Court 2012, Fonterra Co-Operative Group Ltd v The Grate Kiwi Cheese Company Ltd  NZSC 15). Acting for IBM NZ on an IT dispute involving Vodafone and others (High Court, settled 2012). Acting for Westpac, ANZ National Bank and BNZ in a declaratory judgment proceedings under the Unclaimed Money Act (High Court, Court of Appeal and Supreme Court 2011, Westpac Banking Corporation v Commissioner of Inland Revenue  NZSC 36). Acting for Westpac in Commerce Act proceedings brought by the Commerce Commission and various retailers over credit card interchange fees (High Court, settled 2009). Acting for Auckland Airport in judicial review proceedings brought by Air New Zealand (including appearing as an intervener in the Court of Appeal in litigation between Air New Zealand and Wellington Airport) (Air New Zealand v Wellington International Airport Ltd  NZCA 259,  3 NZLR 713, settled). Acting for the vendors of a business in a mis-representation case PAE (New Zealand) Ltd v Brosnahan (High Court and Court of Appeal 2009). 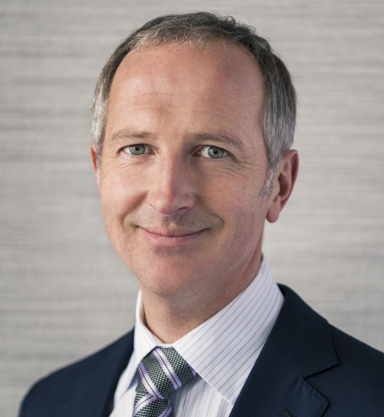 James acted for Westpac in relation to the local incorporation of Westpac in New Zealand during 2005-06 (including drafting the Westpac New Zealand Bill). Acting for Todd Energy in a Commerce Act claim against Transpower and Powerco in relation to the effect of its transmission pricing methodology on distributed generation (Transpower New Zealand Ltd v Todd Energy Ltd  NZCA 302, settled). In 2006 James acted for a consortium of the major electricity generators in the preparation of submissions on water allocation rights. James acted for Telecom in relation to various regulatory processes and competition matters including the inquiry into unbundling the local loop (2000-2004). Between 2001 and 2003 James acted for the Electricity Governance Board industry project team in its successful application to the Commerce Commission for an authorisation for the new industry rulebook. James acted for the entities which merged to form Fonterra and provided advice as to the regulatory framework which was implemented in the Dairy Industry Restructuring Act 2001. The leaking of a confidential government cabinet paper. Potential corrupt practices by officers of a company. Assisting with responses to investigations by regulators such as the Commerce Commission, the Financial Markets Authority and the Serious Fraud Office. Acting as counsel assisting in inquisitorial processes such as the Commerce Commission's final determination of the prices of the unbundled bitstream access and unbundled copper local loops services. Legalwise Seminar, “Smart Contracts”: Automated Self-Executing Contracts(Wellington, 2017). Future of Law Summit, Technology as an Improvement of the Profession(Auckland, 2016). Legalwise Seminar, Developments in Regulatory Price Setting Mechanisms(Wellington, 2016). Institute of IT Professionals conference paper, Competition Law and New Technologies (Tauranga, 2013). The State and Monopolies: New Zealand's Experience, (2010) 12 Otago Law Review 227. Judicial Review in a Commercial Context,  NZLJ 14. Co-author, Equity and Trusts in New Zealand (chapters on Equitable Estoppel, Breach of Confidence and Equitable Tracing). Co-author, Restitution in Laws of New Zealand.